Tony L. Talbert, Ed.D., is Associate Dean for Strategic Initiatives and Professor of Social/Cultural Studies Education and Qualitative Research in the School of Education at Baylor University. Dr. Talbert refers to his field of research and teaching as Education As Democracy. Dr. Talbert began his career in education as a public school history and government teacher where he applied his previous training as a stage actor by engaging his students in the exploration of the human story by integrating the students’ own lived experiences with the historic drama and comedy that encompassed the lives of the characters and events being studied. Dr. Talbert’s thirty-two (32) years of experience as an educator has allowed him to serve as a public high school teacher, education specialist and consultant for the Texas Education Agency, Professor, Associate Dean, Department Chair, and Graduate Program Director at such institutions as Sam Houston State University, Mississippi State University, The University of Houston, and Baylor University. Over his career in academia Dr. Talbert has published over forty (40) peer-reviewed journal articles and book chapters, presented more than eighty (80) peer-reviewed and invited research presentations, collaboratively obtained in excess of $2.8 million in funded research, served as the chair and methodologist for dozens of masters and doctoral theses and dissertations, co-editor of two academic journals, chair of several special interest groups for national professional organizations and a popular invited speaker and consultant for education organizations and conferences, private corporations, and government entities where he has showcased his creative teaching, research, and public activism seminars. In 2013 Dr. Talbert decided that it had been far too long since he had been fully immersed in the real world of teaching. 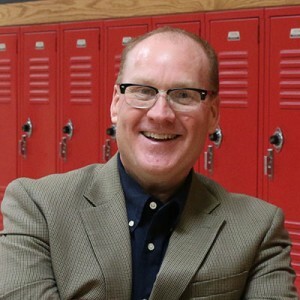 After a twenty-year absence from the public school classroom, he returned to a local high school where he taught world history to 166 10th-grade students. His experiences have been captured in both academic journal and popular press articles and will be the subject of a book in the future. Dr. Talbert was named as the recipient of the 2014 McGraw-Hill Distinguished Scholar Award for his contributions to qualitative research in the field of education.